46 Mary Street Auburn, Sydney. 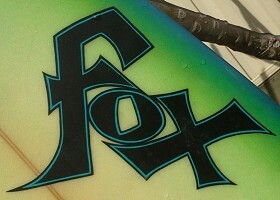 Sponsored Rider: Stuart Entwistle, Queenscliffe. Image thanks to Speedy Phil, September 2014. 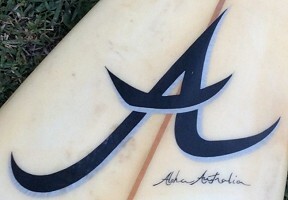 Swallow tail knee-board, 5'4" x 21.5" x 2.5", shaped by Wayne Hutch. 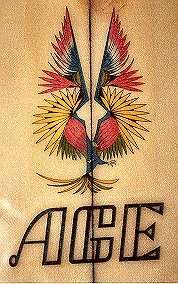 Flying Elephant (Roger Dean for Osibisa,1971) airbrush on the bottom. Old Cleveland Road Camp Hill, Brisbane. - Les Purcell - contributed, with thanks, by Les Purcell. 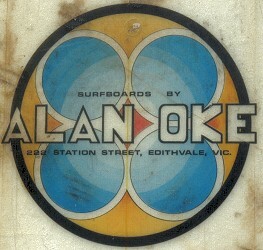 In the 1940s, Frank Adler built and surfed 16ft hollow boards at Maroubra, the family later moving to Queensland. 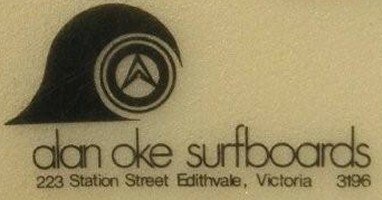 In 1962, Frank and son Ken Alder began retailing Sydney boards from the family home in Old Cleveland Road, Camp Hill, Brisbane. 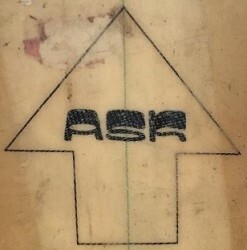 It is possible that some boards were supplied from Sydney manufacturers with Adlers (Surf Centre) decals, and perhaps later sourced from Queensland builders. 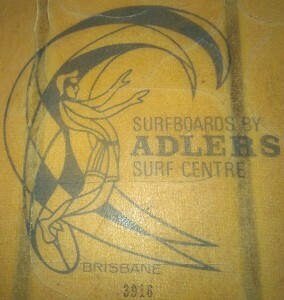 Ken Adler began surfing at Coolangatta in1958 and took his first trip to Oahu's North Shore,in the winter of 1963-4. 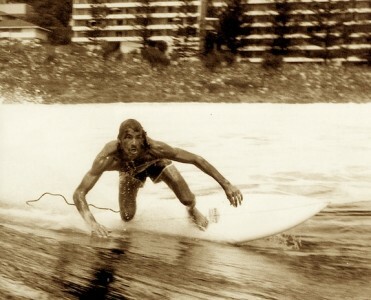 He was a finalist at the 1965 World Surfing Championships in Peru , later travelling to California to work as a shaper at Hansen Surfboards. 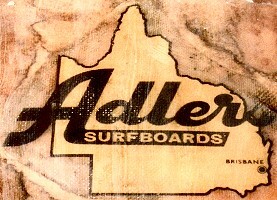 By 1966, Ken Adler was in Alexandra Headlands, shaping at Hayden Surfboards, and in then moved to Bryon Bay to open San Juan Surfboards. 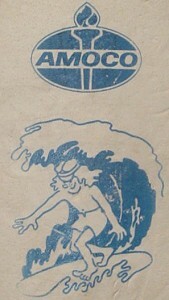 The top decal is a dierect copy of O'Neill Surfboads, California. 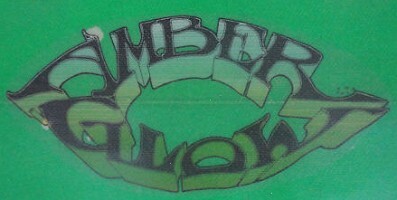 Decal images right and below by Scott Anderson. 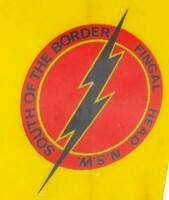 Decal from Spiro Zantiotis, December 2015, markings: 5605 – 10’ 0” RS 1028. 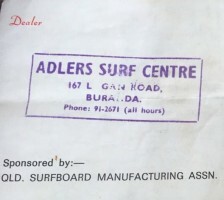 Adler's Surf Centre: Kenn Surfboard., 1972. 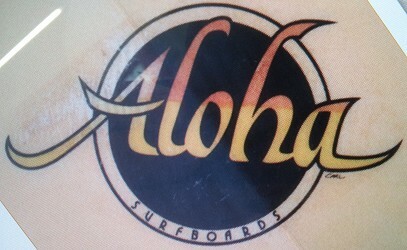 Noted: one single fin belly-board. 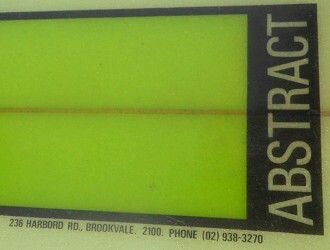 Factory: 82 The Boulevade, Lakemba, 759-1553. - Tracks, February 1971, page 26. 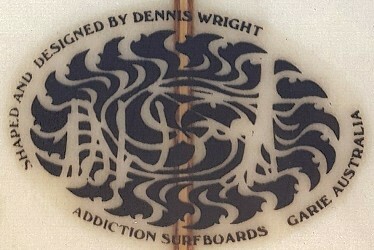 "I worked for Gary Willer of Age Surfboards in the early 70's". 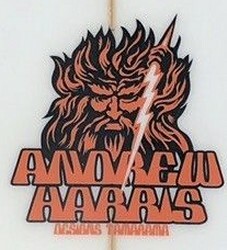 re : Age, Nevada, Nivarna Surfboards. 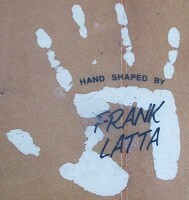 He ran the factory at Lakemba, employees included Billy "Black Boy" Cilia. 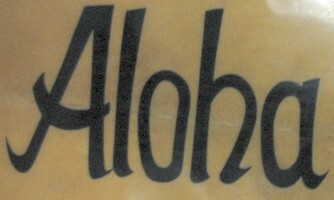 About 1971 - 1972, Alf changed the name to Nirvana Surfboards and later on moved the factory to Kinkumber. 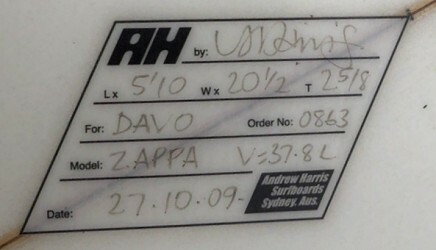 In the late 1970's, he sold Nivarna surfboards (proprietor unknown) and relocated to Western Australia. 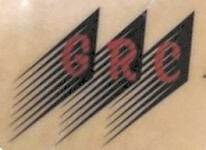 Red-black decal contributed by snazzy, April 2015. 222 Station Street, Edithdale, Victoria. 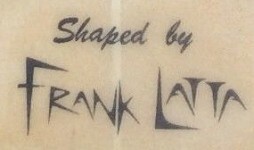 Top decal, circa 1969 contributed by snazzy, April 2015. 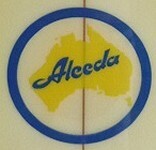 Possibly made under contract, Aleeda was an established wetsuit company. Aleeda circa 1983, below, forwarded by MaxiK, September 2014. 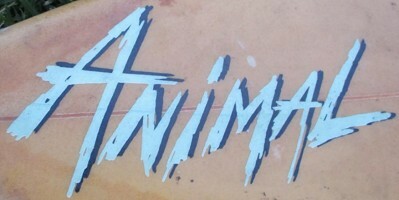 Decal thanks to Snazzy, February 2019. 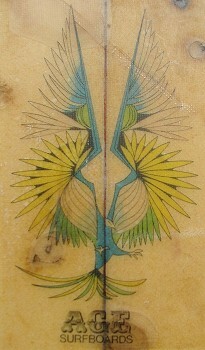 Contributed, with thanks, by Carolyn Fox. 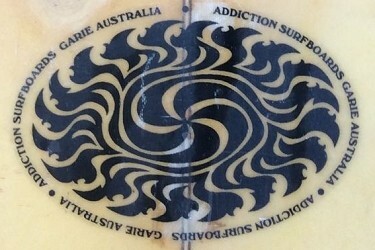 Also see Lightning Bolt Surfboards- Australia. Multiple decals thanks to Snazzy, February 2019. 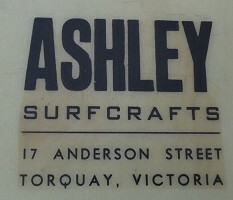 "In 1966 I took over the old Green Gables Caffe and converted it to a surfboard factory where I began to produce small numbers of surfboards. On ocassions Kevin Platt would come stay for a while shape a board or two whilst visiting his then girlfriend. 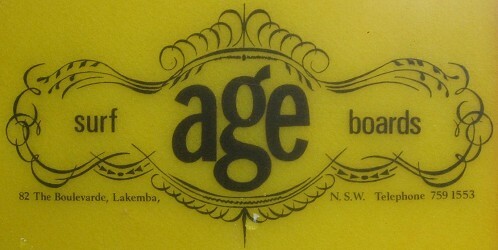 Early 1968 Kevin started shaping for me there and Jean & Lance came to Noosa latter that year &built a resturant on the hill. 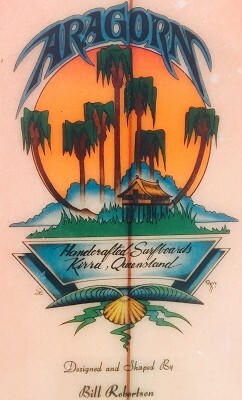 By 1969 we moved to a bigger set up & the plan was for Kevin to keep the old factory, so while he was helping to fill orders in the new set up he lived with me at the new place at Noosaville. The alp-aca lot squated there till they were removed. 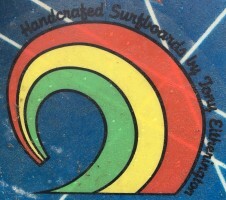 Kev built boards there in the early seventys till the lease was taken over by Peter Troy, who was part off our original team. I am also dissapointed that neither Kevin nor I got any reconigition as shapers of that time." - Many thanks to Trevor. 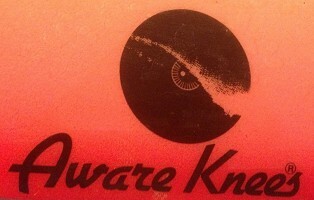 Stumbled across your great site .100s of names from the past . 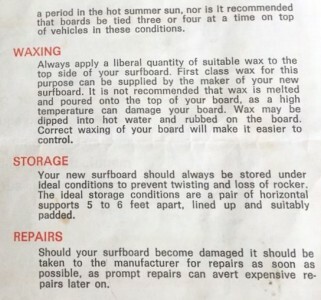 My dad bought me one of RICK BENNET in Noosa in prob 1969 or Spirit of the sea surfboards that sold opposite Kirra about that time or Alpaca that were made in sunshine bch where Platts boardshorts started. Both Peter Cornish and Billy Robbo worked with me at times. Peter had a following for his shapes thru his time with Sam Egan. 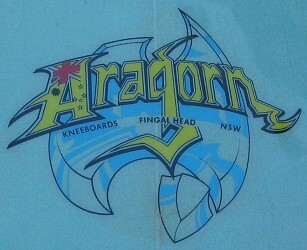 In this period did some boards for Aragorn in Qld MP even had one or two. 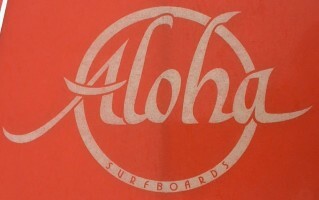 .It was a great period in surfing especially around area. 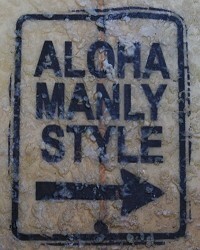 .John started spraying surf scenes waves dolphins etc on boards his painting and prints are now very valuable. ill tell Greg Day about . Just a super interesting site wonder how u dug it all up . 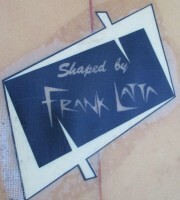 Thought maybe thru Jim the printer -he did most of board stickers etc. Tamarrma, NSW - Sydney, Australia. 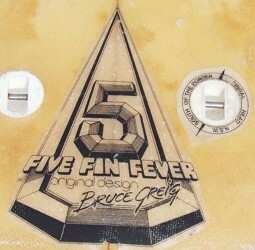 The Honeycomb hollow construction with aluminium mesh fibreglass and with a plug in the nose. 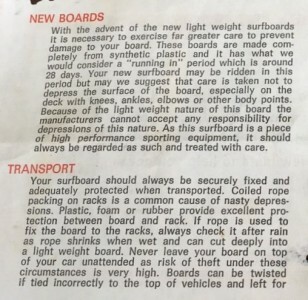 The boards were ridden and promoted in Australia by Peter Townsend. 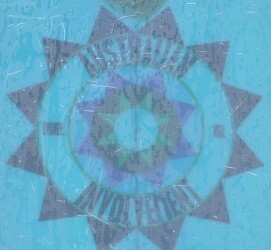 Skateboard decal supplied by Andy Maunsell, September 2014. Michael Peterson, Bruce Greig, Steve Goddard, Bill Robertson, Wayne Dean. 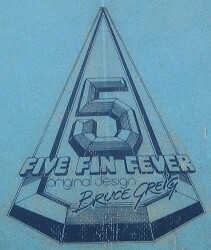 Five Fin Fever and Penta-fin model by Bruce Greig, circa 1985. Bill 'Robbo' Robertson. 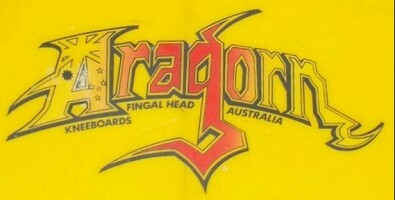 worked at Aragorn in the late 1970s, where he introduced Wayne Deane to stable of Aragon shapers that included Australian Champion Michael Peterson. Bill Robertson later move south to the Newcastle area. 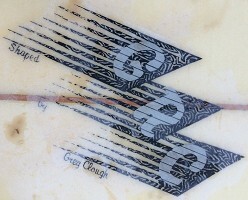 The Robbo board in my collection is double flyer, stinger pintail 6'6" single-fin, unusually with most of the volume in the nose area, its template similar to MP's famous Fangtail. 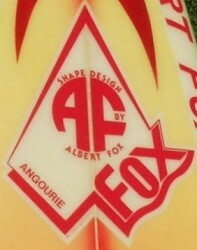 The logo was first drawn by 'Pierre' in 1977, but then it was re-drawn and finished by Shane Egan before being transferred to a laminate for surfboards by Jim The Printer. 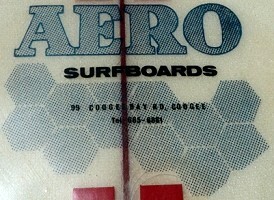 Michael Peterson - Aragon Surfboard, Stubbies Contest, Burleigh Heads, 1977. 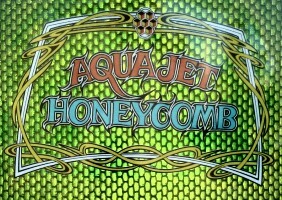 Available at Speaky's Surf Shop Geelong and Doug's Surf Shop Torquay. - Backdoor, Number 1 c1974, page 10. Image courtesy of Snazzy, January 2019. Emily Place, Auckland New Zealand. 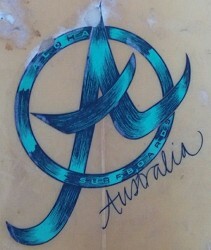 Custom built under liscence to Gordon Woods Australia. 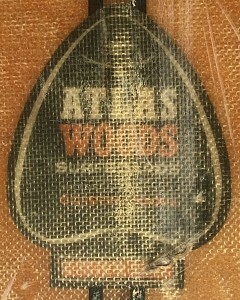 Atlas-Woods was a NZ company (Atlas) using materials and experience sourced from Australia's Gordon Woods Surfboards, Brookvale. 189 Bay Side Street Brighton Vic. Geoff Cater (1999-2019) : Catalogue : Manufacturer Index - A.